For the family looking for something more stylized, more emotive and more artistic than your average photo session. Small moments, simple little details, dreamy light, connection and uniqueness are what set me apart. I am a lighting perfectionist and always shoot with emotion and heart. I work hard to tell your story in an authentic and breathtaking way. 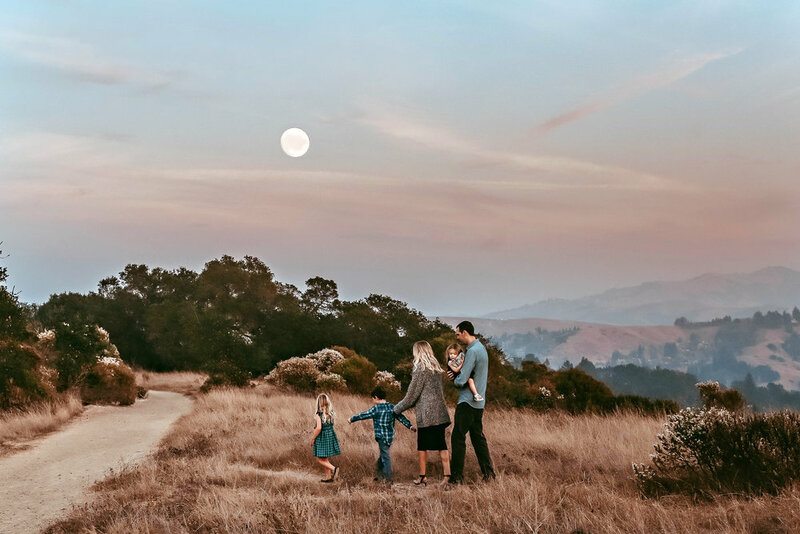 All outdoor family photo sessions are 45-60 minutes in length and photographed at either sunrise or sunset in order to preserve the softest natural light possible. Newborn lifestyle family sessions are 1-2 hours long and held mid-morning in clients home in areas that get ample indirect natural light. Pricing is all inclusive of photographers time, artistic vision, assistance with styling and location selection, exclusive access to photographers third party outfit coordination partner Style and Select if desired, and final gallery of 100-150 artistically edited images. Final gallery delivered electronically via private viewing gallery within 2 weeks of session via e-mail. Download, archive, print and share as you wish. Returning clients received a $100 discount. Booking typically occurs 3-4 months in advance of session. Accepted forms of payment include cash, personal check, Visa, Mastercard, American Express or Venmo and invoices are sent electronically.